What do you get the man who has everything; well you plot in secret to provide a beautifully printed and framed photograph of the children of course! This is what happened here. 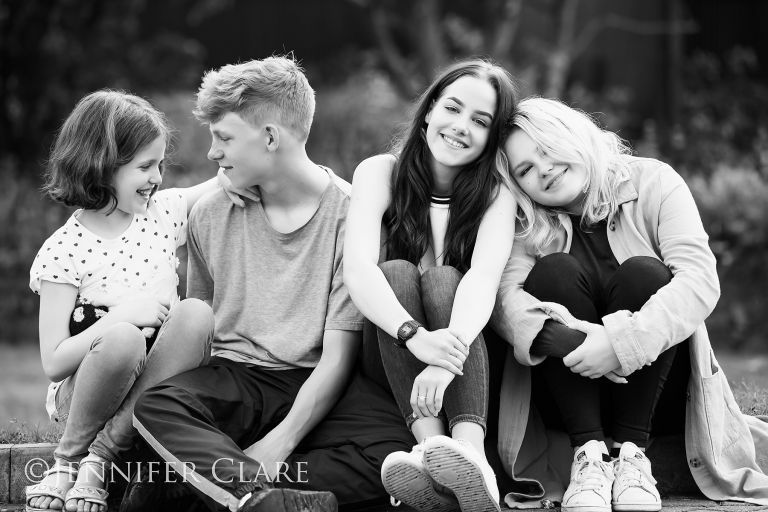 I visited the family early one evening at their home in Duffield, Derbyshire, with the brief to capture the four of them as a birthday present for Dad. There was never a dull moment with these lovely young people and I feel this shot sums up their relationships and personalities really well.